Seemingly abandoned, the top floor of the factory appears unchanged since the factory closed in 1976. This entry was posted on Thursday, December 31st, 2009 at 12:27 pm. 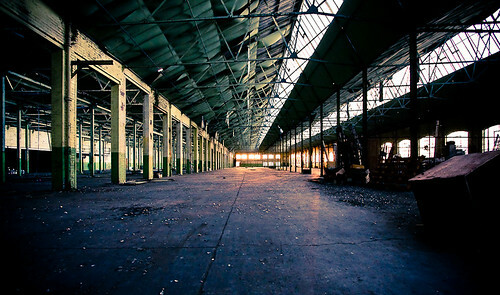 It is filed under Image Blog, UK and tagged with Building, Decay, Gloucester, Gloucestershire. You can follow any responses to this entry through the RSS 2.0 feed.